As the job market continues its steady recovery, it’s important to remember those left behind. U.S. employers added 215,000 jobs in July, the Bureau of Labor Statistics said in its monthly jobs report on Friday. 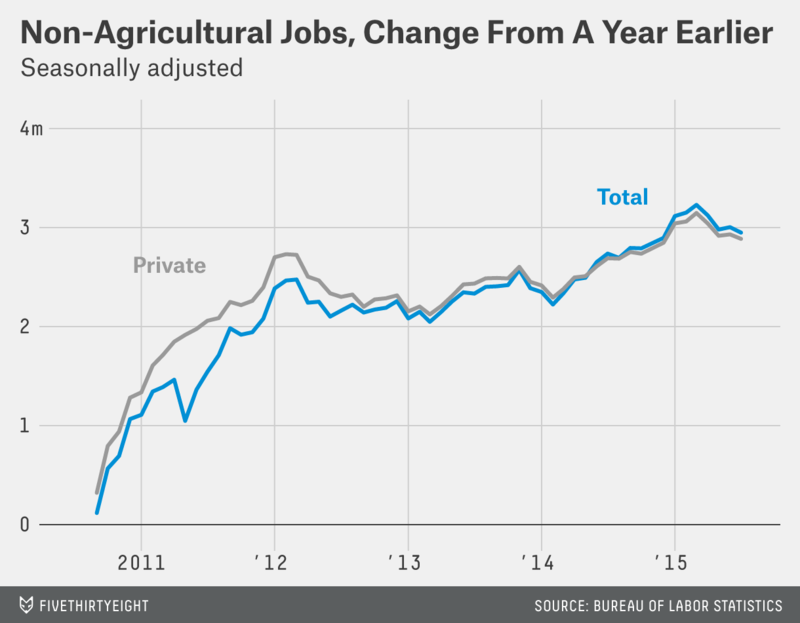 It was the third straight month of job growth above 200,000, and the 10th in the past year. 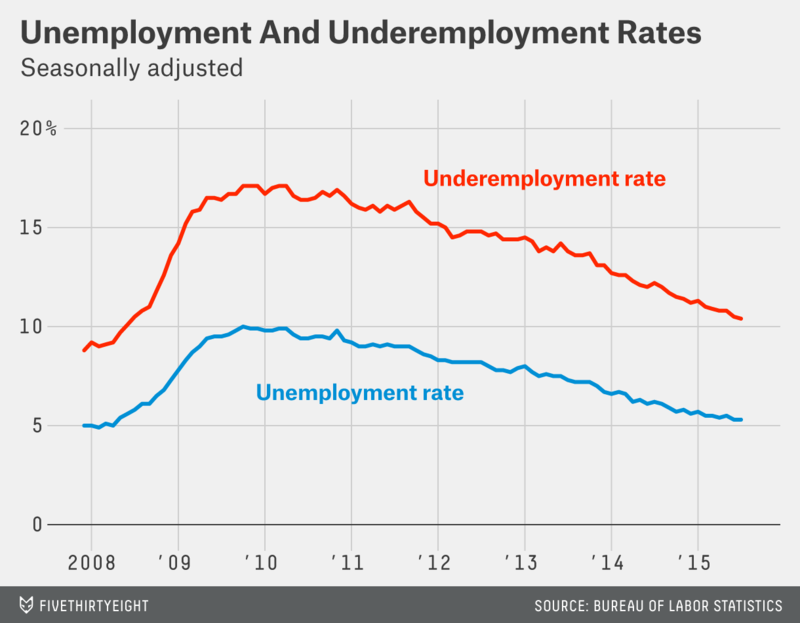 Revisions to prior months’ data added another 14,000 jobs, and the unemployment rate held steady at 5.3 percent, the lowest it’s been since before the recession. 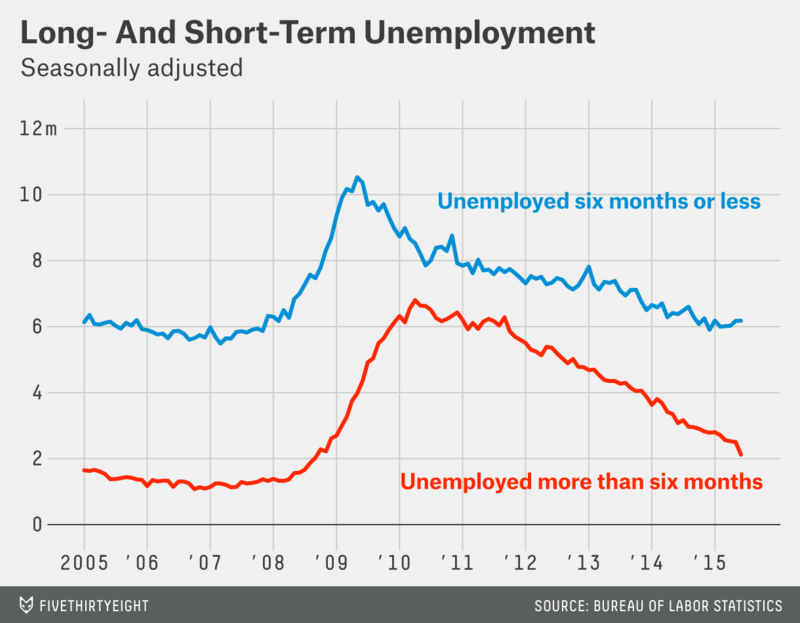 In other words, the job market is continuing the impressive three-year-long run I highlighted last month. Even as other economic indicators have waxed and waned, job growth has stayed consistently strong. Although the progress has been impressive, it has not been absolute. The headline unemployment rate is nearing a level most economists consider healthy — policymakers at the Federal Reserve consider a rate of between 5 percent and 5.2 percent “normal” over the long term — but the government’s official definition of unemployment leaves out people who have stopped looking for work or are stuck in part-time jobs. A broader underemployment rate, which includes both groups, stood at 10.4 percent in July, still well above its prerecession level. 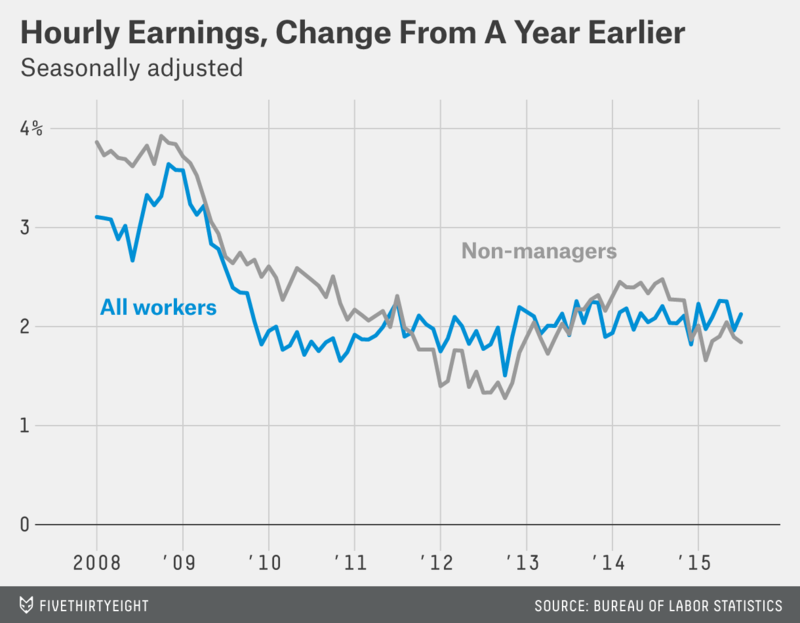 There continues to be evidence that the job market is not fully healed, despite its impressive improvement over the past three years. Perhaps the strongest single piece of evidence: Wage growth remains muted, suggesting that companies aren’t having trouble finding workers. (If they were, they’d have to offer raises to attract them.) The measure of earnings in the monthly jobs report is imperfect — it’s just a raw average, which doesn’t take into account demographic or industry trends — but it is the most up-to-date indicator we have. And it, like other, more rigorous measures, suggests no acceleration in wage growth. It’s worth paying particular attention to a handful of groups that were hard-hit by the recession and continue to struggle in the recovery: African-Americans, young people, the less-educated and the long-term unemployed. The good news: All four groups are seeing some improvement, in some cases rapid improvement. But all of them have a long way to go before their employment could be considered healthy. Let’s consider each group separately. The situation is particularly acute for young black men. 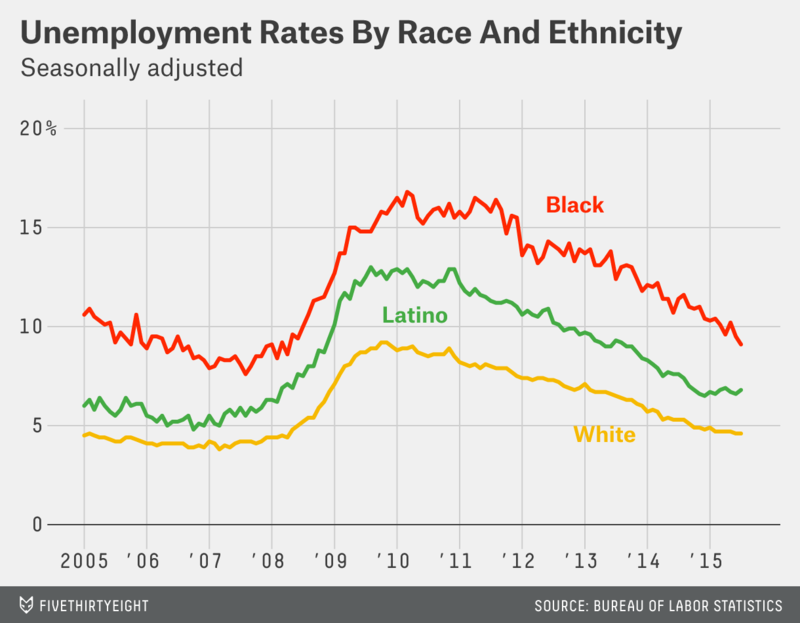 Just 58.5 percent of black men between the ages of 20 and 24 were employed in July, compared to 72.4 percent of whites. (The figures aren’t seasonally adjusted.) And barely a third of black men in the same age group had full-time jobs. Young people: Young adults were hit harder by the recession than any other group, and they’re likely to bear the worst long-term consequences — economic research has shown that people who graduate during a recession face lower earnings for years or even decades to come. The past few years have been particularly hard on younger Americans: They have seen a slower recovery than other age groups. The unemployment rate for Americans between the ages of 20 and 24 was 10.1 percent in July; those just a few years older, ages 25 to 34, had an unemployment rate of 5.5 percent. Less educated: With students across the country set to return to the classroom this month, Friday’s jobs report provides a timely reminder: Stay in school. The unemployment rate for Americans over age 25 without a high school diploma was 8.3 percent in July, compared to 5.5 percent for those with only a diploma and 2.6 percent for those with a bachelor’s degree. The long-term unemployed: No one has struggled more in the recession and recovery than the long-term jobless. The millions of Americans who lost jobs in the recession struggled to find work quickly, and many of them discovered that once a few months had passed, they couldn’t get employers to look at their resumes. The number of long-term jobless — usually defined as people out of work for more than six months — has fallen steadily in recent years, although it remains above prerecession levels. And the remaining long-term jobless are seeing somewhat better luck finding work, although they still face much longer odds than people who have been unemployed for less time. But it’s important to remember that there’s long-term and then there’s long-term. People who have been out of work for six months today lost jobs early this year, when the economy had already seen dramatic improvement. As I showed last year, the unemployment rate at the time someone loses a job has a big impact on his or her prospects of finding a new one. It’s likely that many of the people who lost jobs in the depths of the recession have long since given up looking for work and are no longer counted as unemployed at all.